Our engineers have bachelor’s, master’s, and/or doctoral degrees in industrial, electrical, mechanical, and/or chemical engineering and extensive experience in software engineering and systems integration. 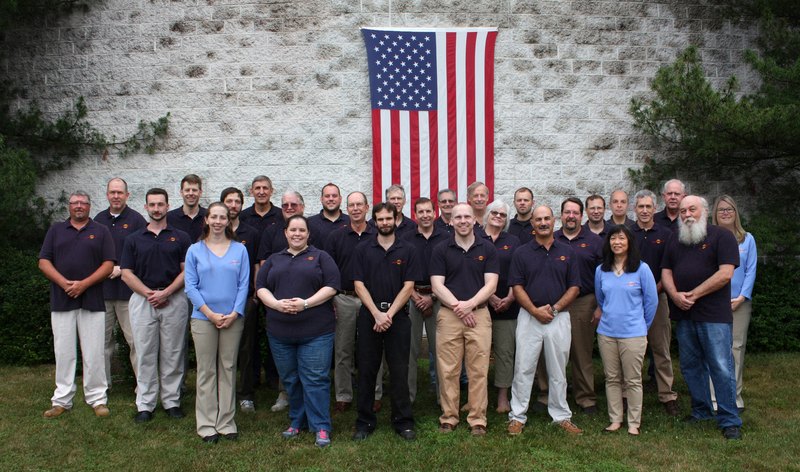 Each of Accudyne’s engineers has depth of expertise in one primary field, and breadth of knowledge in other fields. This multi-disciplinary knowledge base stimulates problem analysis from multiple perspectives, elicits insight to relate these perspectives, and fosters clear & open communication. Problems are thoroughly examined from program initiation to minimize technical obstacles during equipment design, build, and deployment. Our designers utilize the Autodesk Product Lifecycle Management toolset to manage the equipment design and development process. In addition, the design team has experience with Solidworks and CATIA which facilitates close coordination with customers using these CAD software solutions. Design ‘gate’ reviews for Concept, Preliminary, and Final/Critical Design levels are accomplished internally and with customers to ensure every detail is addressed prior to kicking off fabrication. Our technicians have a broad array of skills to include precision machining, electrical system and panel build, equipment assembly, component testing, and laboratory analysis. Our machinists have more than a century of experience, collectively, and our shop equipment gives them the tools to accomplish precision CNC mill and lathe work as well as sheet metal fabrication, and welding. Our support staff excels at technical writing and photo-documentation to produce equipment manuals, training materials, and documentation packages for all the custom equipment that Accudyne manufactures. 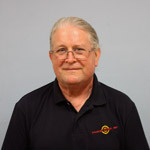 Ralph received a bachelor’s degree in Mechanical Engineering degree from The University of Delaware in 1978 and earned a master’s degree of Mechanical and Aerospace Engineering from the same department one year later. His thesis focused on the design of a spar wingskin joint in high performance aircraft. In 1986, he received a Doctorate degree in Mechanical Engineering from The Ohio State University. His dissertation focused on the mechanical modeling of the human leg. While working on his doctoral degree, he spent 2 years with Hewlett Packard at HP Labs developing automation technology. After completing his doctoral work, Ralph returned to The University of Delaware as an Assistant Professor in the Department of Mechanical Engineering. Over the following 8 years, he taught all of the design courses and was a cofounder of the Orthopedic and Biomechanics Engineering Center. In 1993, he left the university to start his own consulting company, EPOCH. In 1995, EPOCH merged with WTC to form Accudyne Systems, Incorporated. 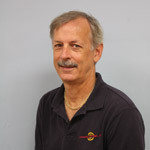 Since its formation, Ralph has served as a Senior Partner and President of Accudyne. 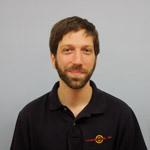 His areas of expertise include creative problem solving, automation, biomechanics, composites, and system integration. He has been the lead engineer for the development of over 60 machines ranging from biological pipettors to window manufacturing equipment to a variety of machines for fabricating thermoplastic and thermoset composite parts. 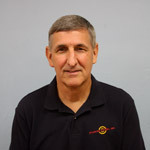 Mark received bachelor’s and master’s degrees in Mechanical Engineering from The University of Delaware and began his career at DuPont in 1981. He held assignments in Kevlar® fiber process and equipment development for the manufacture of thermoplastic composite parts. This included the development of thermoplastic filament winding and thermoplastic tape placement processes. In 1997 Mark joined Accudyne Systems Inc. (ASI) as a Senior Partner responsible for the composite programs at ASI. He has been the program manager for several composite programs related to the manufacture of equipment for the production of thermoset and thermoplastic parts. Mark is holds nine patents for processing equipment related to the manufacture of composite parts and has published more than 25 papers in the field of composite material processing. After honorably fulfilling his enlistment in the US Air Force, Stephan received a bachelor’s degree in Industrial Engineering (BSIE) from The Pennsylvania State University in 1998. He began work at Chrysler Corporation and completed a master’s degree in Mechanical Engineering (MSME) at The University of Michigan in 2000 through the highly selective Chrysler Institute of Engineering Program. Stephan contributed to several high-performance vehicle development programs during his tenure at Chrysler (and then DaimlerChrysler), and made a significant positive impact at the Newark Truck Assembly Plant before it closed in 2009. After departing Chrysler and completing a Master degree in Business Administration (MBA) at The University of Delaware, he returned to a defense technology-oriented career path working for a top-50 defense contractor supporting multiple Department of the Army organizations, and ultimately the Defense Advanced Research Projects Agency. Following the completion of several projects for these client organizations, Stephan sought a career move that would let him make a more direct impact on an entrepreneurial engineering organization, and joined Accudyne in June of 2015. 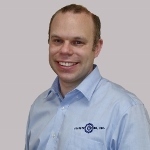 Stephan brings almost 20 years of experience to Accudyne in product development, technology research, systems integration, and program management. Since joining Accudyne, he has taken on multiple projects as Program Manager, joined the management team, and contributed to marketing efforts. In the fall of 2016, Stephan was promoted to Executive Director of Accudyne Systems, Inc. and became a partner in the business. James serves as the Technical Director of Accudyne Europe Limited – a subsidiary business to Accudyne Systems, Inc. – serving clients in the European Union and beyond. He brings a wealth of composite component manufacturing automation knowledge to the organization following his successful career spanning two large aerospace manufacturing enterprises in the United Kingdom. Mike received a bachelor’s degree in Mechanical Engineering from The University of Delaware with a focus on composite materials. He has over 30 years of experience with composites to include material and process development, machine design, manufacturing engineering, sales & marketing, and business management. During a seven year tenure at PPG Industries, Mike developed new fiberglass products for commercial aircraft and military applications. During his tenure at DuPont, he worked on a wide range of composite products for military, oil and gas, automotive, and aerospace applications. Mike departed DuPont to work for Xymid LLC (a DuPont spinoff) running three businesses that provided composite parts for the printing, converting and industrial motor industries. After fifteen years at Xymid, Mike joined Accudyne systems in 2013 to lead Sales and Marketing efforts. Nan received a bachelor’s degree in Mechanical Engineering from the University of Pittsburgh, and Master’s degree in Mechanical Engineering, with a concentration in robotics and controls, from The Pennsylvania State University. 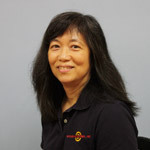 She specializes in automation control systems for the factory automation and composites processing custom equipment markets. Her work focuses on the implementation of online sensing systems, motion control hardware, closed loop process control systems, and high speed data acquisition, and statistical process control (SPC) monitoring systems. Steve received a bachelor’s degree in Electrical Engineering from The University of Delaware and has more than 20 years of experience in composite process manufacturing equipment. Over the course of his career, he has participated in a number of equipment development programs in the material processing area focusing on electrical systems engineering and materials process development. This work included several assignments in the DuPont tow impregnation facilities. 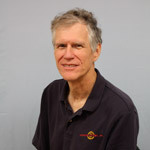 Steve was the principal investigator for in situ tow and tape placement on the DARPA RAPTECH-PMC and RAPTECH-ACM programs and developed the processes to manufacture in situ consolidated skin stringer, honeycomb, and TiGr thermoplastic laminates supporting the NASA High Speed Research Program. 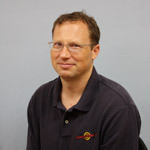 Steve joined Accudyne in 1998, working on TIF and APC-2 line upgrades, redesign, and startup. 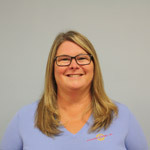 Kim received an associate’s degree in Mechanical Engineering at Delaware Technical & Community College in 1993 and subsequently worked for the DuPont Company as a Mechanical Technician, where she tested and assembled equipment supporting research and development efforts until joining the Accudyne Team as a Mechanical Designer in 1998. As a senior design specialist at Accudyne, Kim is involved in all aspects of concept development, design and assembly of custom equipment for all of the markets that Accudyne serves. Her extensive experience and ingenuity has resulted in her being named as an Inventor on three patents since starting at Accudyne. Mike received a bachelor’s degree in Mechanical Engineering from Rose-Hulman Institute of Technology in 2001 and has 15 years of experience designing automation control systems. Early in his career, he designed control systems for material handling systems for several manufacturing sites across the United States. 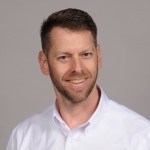 Since starting with Accudyne in 2005, he has lead electrical and software design efforts for numerous programs including factory automation, thermoplastic processing, web handling, and thermoset tape placement machines. More recently, Mike’s efforts have been concentrated on design and software for Accudyne’s cut-on- the-fly fiber placement machine technology and developing the offline programming environment for programming plies. Mike’s programming experience includes a variety of PLC’s (Allen-Bradley, Siemens, and others), Panelview and CMore HMI’s, Siemens 840D CNC, Matlab, Fortran, C# and Visual Basic. Curtis received a bachelor’s degree in Mechanical Engineering from The University of Delaware in 1992 and a master’s degree in Mechanical Engineering from The University of Washington in 2000. His undergraduate work focused on filament winding of thermoplastics and his master’s degree thesis work studied resin transfer molding. He served in the Army Reserve for 8 years and worked as a Project Engineer for a commercial construction company, a Process Engineer for Tenneco Automotive, and Facility Manager/Senior Process Engineer for a manufacturer of electronic laminates and silicone products before coming to Accudyne in 2007. Curtis has worked on a variety of increasingly complex projects during his tenure at Accudyne in the areas of supercritical fluids, separations, and composite fabrication. He leads the Accudyne efforts to develop novel solutions to extractions using supercritical carbon dioxide and other fluids.